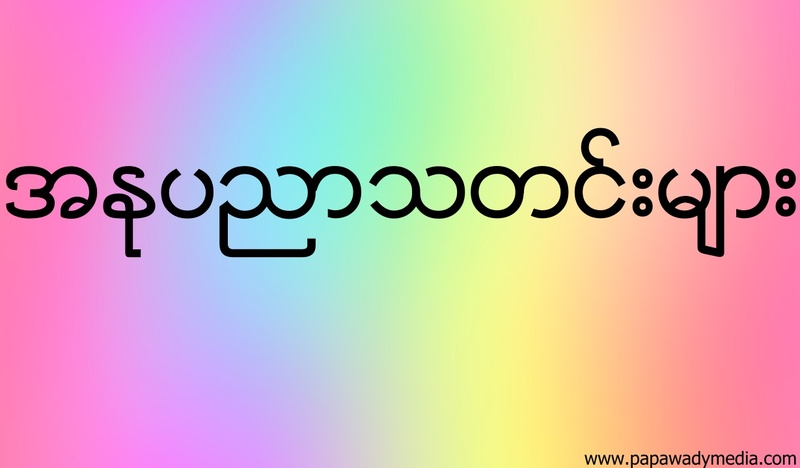 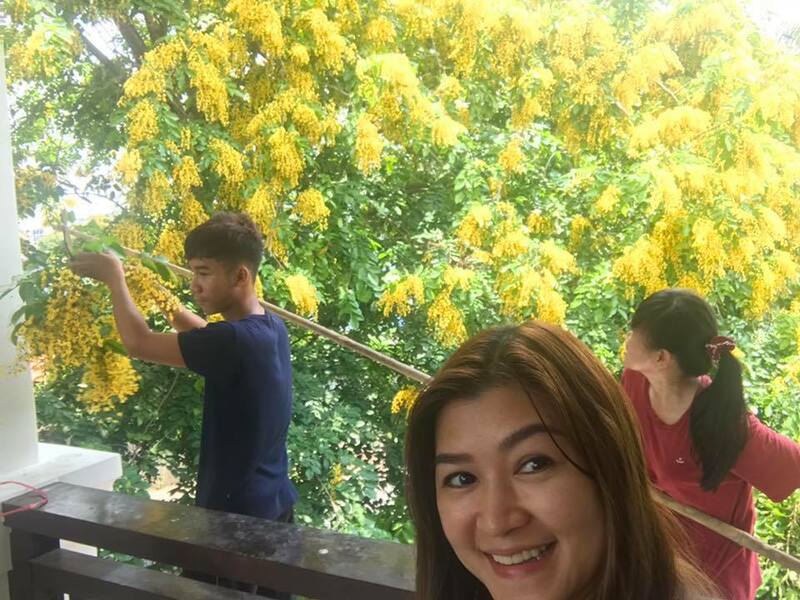 Happy Time. 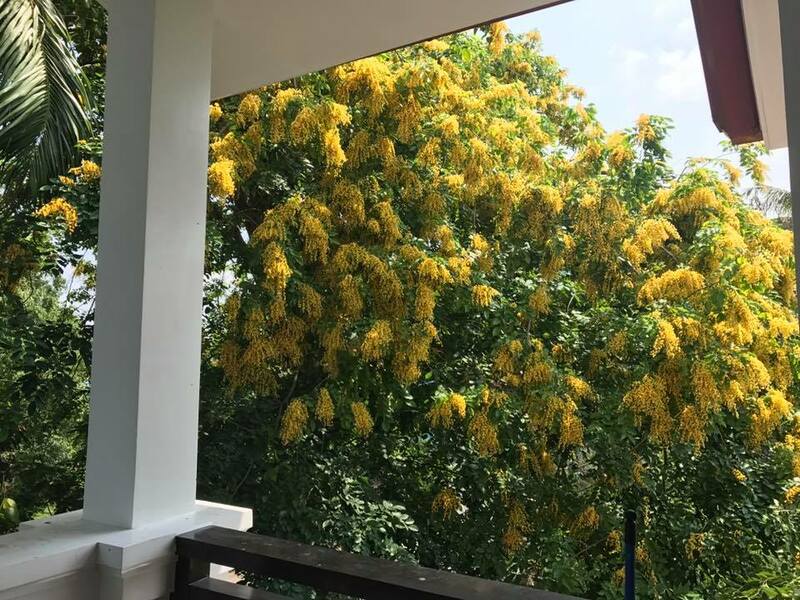 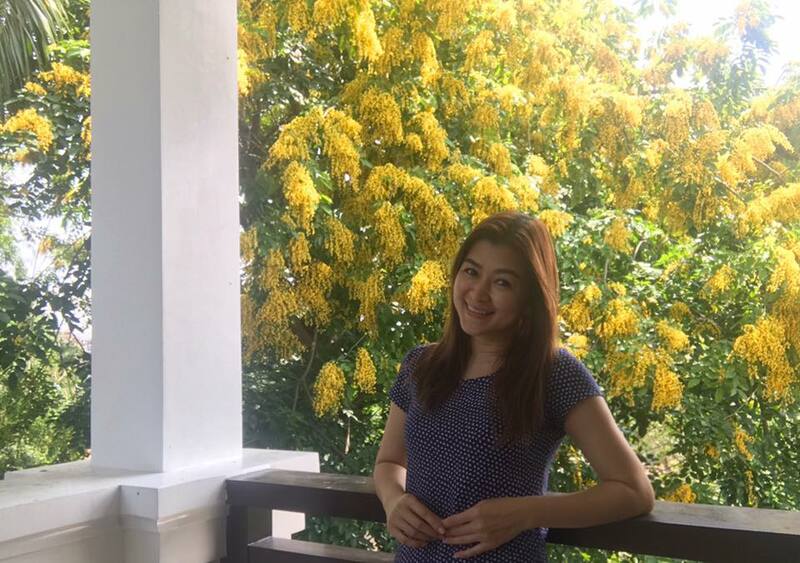 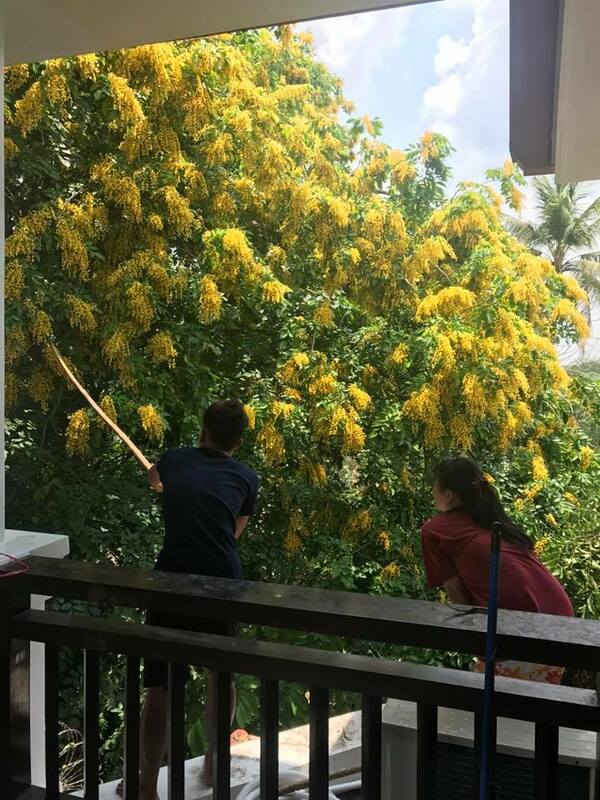 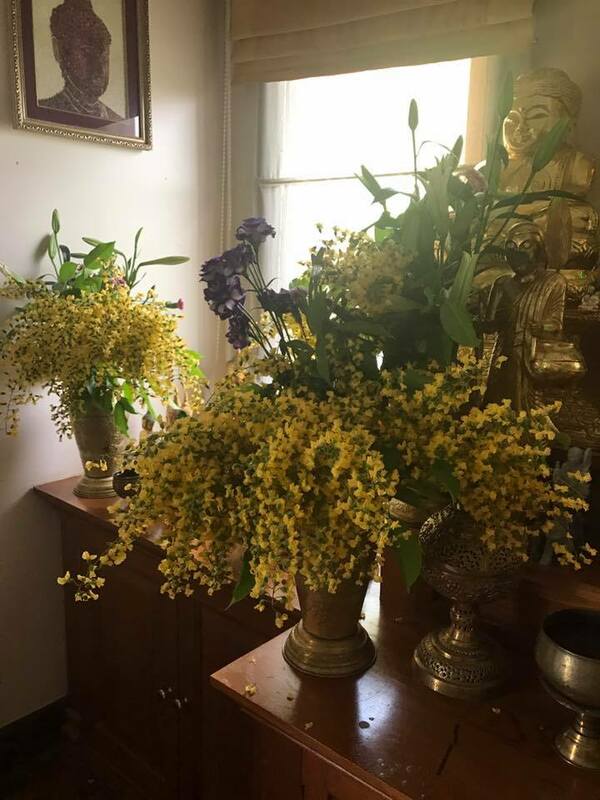 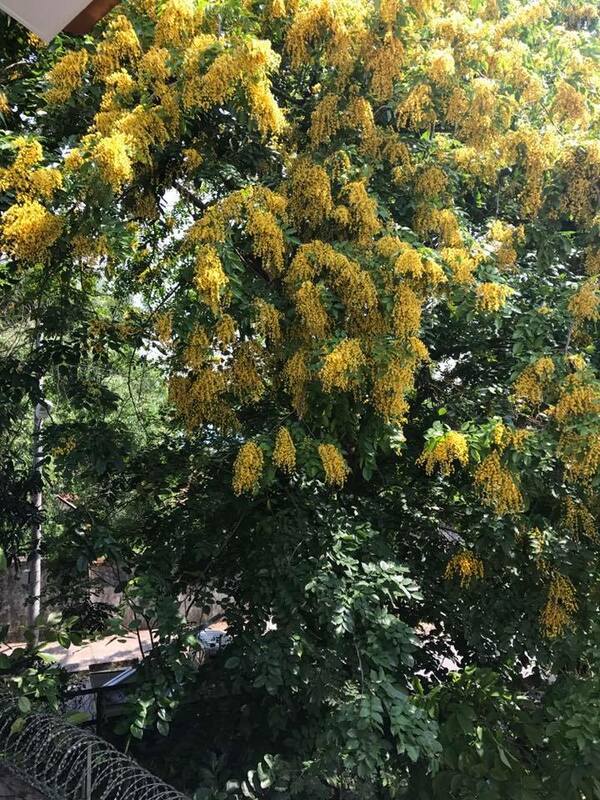 After getting back from her vacation , Eaindra Kyawzin is welcome by blooming yellow padauk at her home. 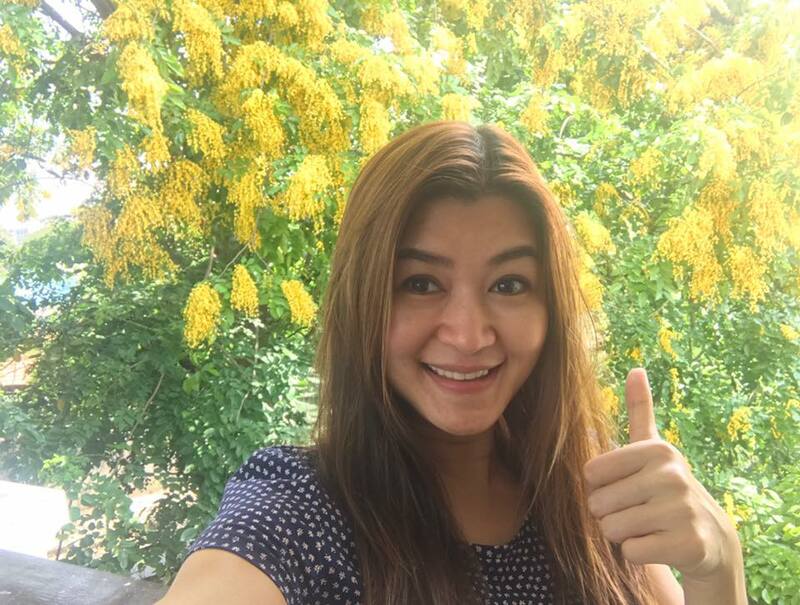 She shared her photos posing together with beautiful yellow flower in this snaps.